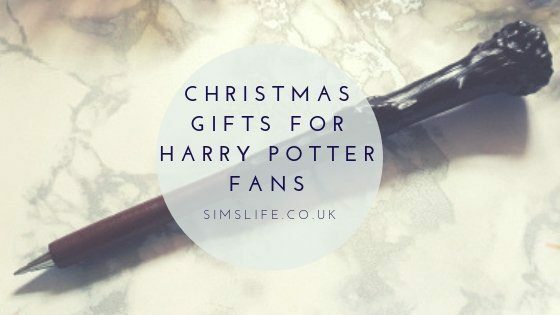 What better way to kick start the annual Sim’s Life Christmas Gift Guide than with a post dedicated to inspiration on gifts for Harry Potter fans? There really is something quite special about the Harry Potter world – even adults can be transported to a world of make believe where magic is real. To fully immerse yourself and surely the ultimate present for any Harry Potter fan is to visit the Warner Bros. Studio Tour – The Making Of Harry Potter in Watford, London! I surprised Liv with a trip there during the summer holidays and just being able to walk around the sets and see props used in the actual films up close was spectacular! I shall not offer any spoilers, but will state it is a must visit for any Harry Potter fan. Tickets can be purchased here. We thought the Itty Bitty range was awesome enough, until the Harry Potter collection was released! Featuring Harry, Ron and Hermoine in their school robes, the characters are very recognisable! Harry even has his trademark scar! Dumbledore looks splendid in his robes and tassled hat and it’s very fitting that these characters were added to the range. For anyone who loves soft plush toys, you need to check out Itty Bitty’s – the range features characters such as Harry Potter, Marvel, DC Comics, Disney favourites, Beauty and the Beast, Star Wars and many more. You can check out the full range at Hallmark and also buy the set of 4 Harry Potter Itty Bittys from Amazon. Have you ever dreamed of being sorted into one of the four Hogwarts houses? Then your dreams have come true! Sure to be a popular gift this Christmas, the Harry Potter Real Talking Sorting Hat will give you your answer! Simply pop the hat onto your head and press the button to start your wizard journey. The animated mouth will consider his verdict before delivering – with a voice just like that of the sorting hat in the movie. It really does work – I was oddly sorted into Hufflepuff, I was secretly hoping for Slytherin! Batteries are required, but do come with the sorting hat for immediate play out of the box. Definitely a gift for Harry Potter fans to delight all (but maybe not those sorted into Slytherin) on Christmas Day. The Real Talking Sorting Hat is available to purchase from Amazon, alongside many other toy retailers. Now, it may not be to everyone’s taste, but you really can find treasure if you have the time to peruse Primark fully! They often have fabulous themed gift ideas and I was very fortunate to be able to stock up recently on items that are perfect gifts for Harry Potter fans… at Sale prices! A super cute coin purse in the shape of a Love Potion bottle reduced from £5 down to £2, an assortment of novelty Harry Potter socks from £2.50 to £1, another keyring from £3 reduced to £1 and the rather cute cotton shopper bag was fully price at £3. I simply couldn’t resist! Nor could I resist these full price Harry Potter gifts from Primark either. Each year we add a special Christmas bauble to our collection and it seemed fitting to add this snow globe inspired glass bauble priced at £5 and the Hedwig LED lights for £3. The full price items did bump up the total, but for £22, I’d say this was a successful gifts for Harry Potter fan Primark haul. You can never guarantee what stock will be in on the day, but it is well worth a regular look! Part of the officially licensed Harry Potter products range from Paladone, this Harry Potter Wand Pen priced at £5.99 is the perfect writing implement for any budding wizard. Unfortunately it cannot perform magic when it comes to spelling and grammar, but it is very comfortable to hold and write with and writes in black ink. You can purchase the novelty pen and also check out other Harry Potter gifts from Paladone. This is just a small selection of my favourite Harry Potter items, from items I have bought to a lucky raffle swap with the Sorting Hat – has it given you inspiration for gifts for Harry Potter fans? I love all these ideas – but especially the sorting hat! 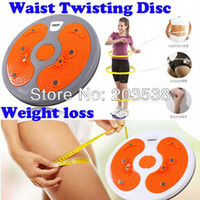 Lots of great gifts here, good ideas if you are stuck.